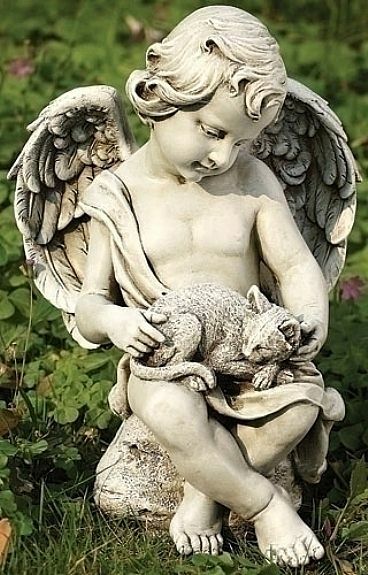 One of our adorable angel figurines for the garden includes this little angel girl playing with her kitty friend. The sculpture makes a thoughtful memorial gift idea. Dimensions: 12"H x 8" x 7.5"